Rafa Benitez has given an injury update before the visit of Bournemouth on Saturday. 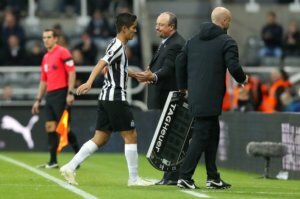 Yoshinori Muto, Jamaal Lascelles, and Jonjo Shelvey were all injured and replaced over a spell of six minutes just before the end of the first half on Saturday. That was our first win of the season against Watford when Perez headed home the winner on 65 minutes. Muto and Shelvey have muscle problems, and Lascelles has a shoulder problem and was holding his left arm limp during the second half of the first 45 minutes. Apparently, Muto picked up a knock on his calf last week in training and then couldn’t continue against Watford and was taken off in first-half stoppage time. A scan shows the injury is not serious and he could be fit for the game on Saturday against Bournemouth. 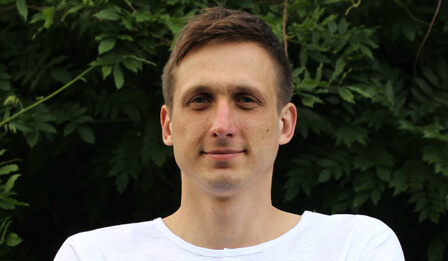 Shelvey is still a doubt, and the medics will monitor his situation this week. But it wouldn’t be a surprise if the team that finished the game starts against Bournemouth. That would see Perez keep his place and give another chance to Ki Sung-yueng and Fabian Scharr who played extremely well in the second half last Saturday. This is the final game before another two week International so another win would be terrific. Previous Post Was 1898-1899 Season A Better Start Than This One? By gum Frenchie I believe you are right !!!! Zoik! Another International break, is it me or are they multiplying? Maybe one of the coaches wives ? Part of me is pleased Shelvey may not make this game. I think he’s been less effective so far this season, whether through lack of form or the lack of form of his team mates, I don’t know. Ki’s impact last weekend was impressive, so I’d like to see if he can replicate it over a 90 minute period. Ideally, I’d like to see them both together. Don’t change a winning team Rafa. It’s been an awful long time since we’ve been able to say those words. She’s not a bad sort. I wonder if she’s got a boyfriend.